Better News and New Arrivals! Following treatment at Newmarket, box rest and lots of care, there is better news on my top horse Reece (Valerius) who has increased his walking, to the point I can sit on him. Although after a very frisky moment in the field whilst trying to hack, we have resorted to smaller spaces for a while! Elsewhere it’s been an exciting start to the competition season. Deauville CPEDI*** went really well at the beginning of April. I only took Jorge as William did feel quite ready for his international debut. Jorge smashed out personal best performances on the first two days, which turned out to be career best for me too! He then returned home and got a personal best at Keysoe Premier League (able bodied) in the Inter 1, to win a big class. In Deauville I also had two of my clients competing - Izzy Palmer on my horse Touchdown M, and Georgia Wilson on her own Chico. It was only Izzy’s second international abroad, and Georgia’s first, so it was quite a big deal for them. I remember when I first started going abroad to compete, it’s quite daunting. You don’t know many riders there and a lot of them are seasoned campaigners, many have done major championships too. I remember my first one and Ann Cathrin Lubbe and Philippa Johnson were competing, they had just come back from Athens with gold and silver medals. I was completely in awe of them, and still completely respect them as riders and competitors, feeling honoured I had such great role models to aspire to. As Izzy was riding Touchdown, I know him quite well, I’ve had him for 10 years, and despite his seven-year break in the middle due to injury, I can tune into him quite well. This is also the third season I’ve trained Georgia on Chico, so we have established a good warm up routine. I’m allowed to ride Chico for a maximum of 30 minutes each day as Georgia rides at grade 2, so we just had to stick to that plan. When you have a plan, I think it relaxes everyone involved including the horse. The time you start doing something different just because you are at a bigger competition and the pressure is on, things tend to go wrong! Same sh*t different arena, as Charlotte Dujardin famously said. Both girls did a great job. The horses are both prone to getting a little nervous, and sometimes it’s hard for riders to take control and be the confident one when they are in a pressured situation but they both proved the training they have put in and produced solid tests. It’s a really proud moment for me when the riders I train come out of the arena and everything has come together at the right time to pull off a great performance, but I also feel very proud when sometimes things don’t go according to plan and they are able to deal with it independently and make the best of the situation. That’s my goal in my coaching, not that they are reliant on me for every step, after all, they are on their own in that arena! Sometimes it’s hard to step back and let things happen which are good for learning, even if it’s hard to deal with at the time. That’s something I have found hugely beneficial from the work I’ve done on the Youth Pathway Coaching Programme I’m on. It’s hugely inspiring to be alongside some of the most motivated and down to earth top coaches, that are wanting to continue to better themselves. It’s very humbling. I come away from the course days drained but so inspired. Thank you to the BEF for running the course! Back at home we have had some exciting new arrivals since returning from France. You can find out more about them on the horses' section of the website, but Charlotte Hogg has bought me JZ or “Classic Jillz Gueszenhof”. He’s not 4 until July this year, so only a baby, and has a lot of maturing to do. But he has such a huge character. I can’t thank Rebecca Hughes enough for helping me in my search for a new star, and Rebecca, Gareth Hughes and Julia Hornig From Classic Dressage for allowing me to buy JZ. Loki, a 5-year old From Oakleigh Farm Stud has also arrived. I had been teaching him and his owner for a few months when she offered me the ride. He also has a lot of character and we did our first competition together to get 7.7 in the 5-year old class to come a close 3rd after the final line up, originally sitting in 2nd. Now he’s based with me (after a bit of building work to allow for more stables), hopefully we can crack on with some training. And finally, Dime arrived with us. A 10-year old bay mare who is training towards Grand Prix. It’s a great opportunity to get to know Dime, and so far she has been a sweetheart. Just lots more strength needed for the high level work but it’s work in progress. I’m looking forward to keeping you up to speed on everyone’s progress, in the meantime check out the new faces for yourself 😊. Reece is such a special horse! 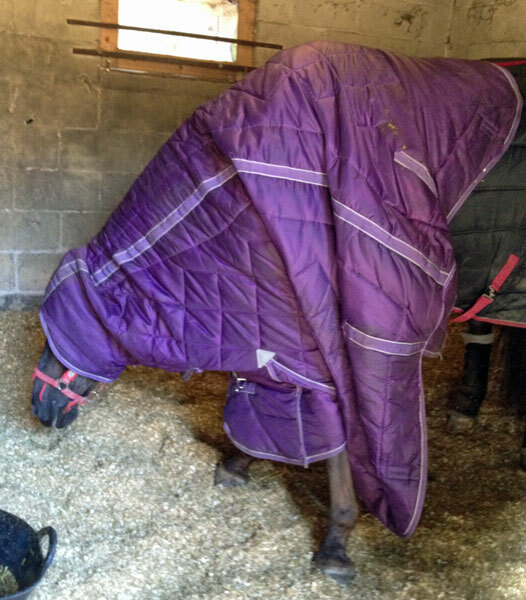 So it’s probably about time I let you all know that unfortunately at the end of last year Reece sustained a suspensory injury in both hind legs and had investigations at Newmarket in January and started treatment from there. It’s taken time for me to come to terms with this, I was hoping he had another couple of years in him, being 16 this year, but this certainly changes things, and his career is unlikely to continue how I’ve known it, especially over the past few years. It’s fair to say I was heartbroken at the news as Reece has been a massive part of my life and career over the past 11 years. He was completely not what I was looking when I was 16, the gangly four-and-a-half year old that was already over 17 hands, but he looked like the horse I had to sell to be able to buy him (Rodney) and I fell in love with his character. And he’s never grown up, is a labrador, and is always in to everything. He’s the guard dog of the yard and always knows when something isn’t right. He’s big and bolshy and in your face, but he’s also the softest, sweetest horse underneath it all, he just likes to hide it! He knows when I’m not feeling quite right and his demeanour changes completely. He’s needy to me, but I love him to the moon and back, I would do absolutely anything for him. He was there before I won my first medal and has helped me win nine golds and three silver medals at European, World and Paralympic Games since. I won my first individual Paralympic gold medal on him in Rio which was so special. And the journey we have been on together has been immense. From the broken ribs right at the beginning, him not letting us catch him in the stable and having to live in a headcollar (which didn’t always help), running off with us when he was in an open space despite having a bridle and lunge line on, refusing to load for hours on end, ripping far too many boots and bandages to remember, throwing strops when I rode other horses particularly in the early days, or if he wasn’t the first to go out. He even had attention seeking colic episodes. He’s so noise sensitive which caused us problems, but we soon learnt ear plugs would be everyone’s saviour when it came to prize givings and he was a different horse. No one wanted to volunteer to trot him up at internationals for his airs above the ground, but this just makes him Reece. We went to the Nationals numerous times and competed up all the levels nationally to Grand Prix, which was a dream come true last year. He has never been the most talented, but he loved the attention that work brought, and we sure put in a lot of work over the years to develop him to the horse he became with the help of Angela. He has the heart of a lion, even though he was on occasions a mouse, and could also be so so stubborn... but at the end of it all, he’s needed me, and that’s what has made our journey so special, we have done it together. I couldn’t be prouder of him, and I couldn’t love him more. I'll probably go grey much earlier than I should because of him, worrying how he is in so many situations, one of which was his journey to Rio, and self-harming before every championship he was selected for. But I’ve been fortunate to have 11 years without any serious injury and I’m so so grateful for that. He’s played a massive part in making me the rider and trainer I am today and will always be with me, in my heart. So for now we take week by week, and I will stay positive in the belief miracles can happen. Of course we don’t really have seven years for him to have off like Touchdown did (he will always be the come back king) but I really hope he can return to having a role and a purpose in his own head, in some form, and I will do everything I can. Sophie updates us on what 2018 has in store. 2018 looks to be an interesting and challenging year. With the World Equestrian Games (WEG) in Tryon, USA as the aim for the top horses, there are also a lot of smaller goals for the younger horses! We have a few internationals to be aiming for during the selection period, and I’m still on the look out for a young horse to join my team, and of course any owners that want to join the team, they would be very welcome! I’ve also been selected onto the BEF Youth Pathway Coaching Programme. This is a programme to help develop coaches to work with youth athletes and understand stages of their development, as well as looking at your own development as a coach. The group of coaches from dressage, eventing and show jumping seem really lovely after our first two sessions. 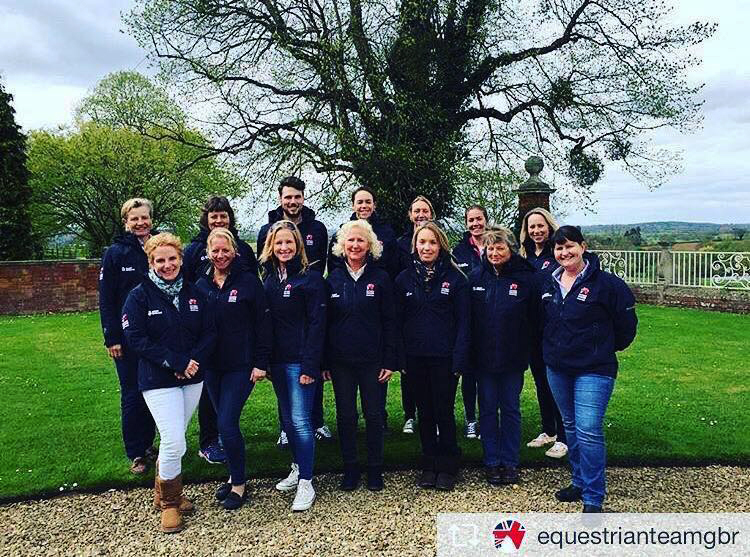 We have been assigned a mentor from outside equestrian to help us on our journey and have already experienced some great speakers within the course. Lots of clients had success at the Regionals able-bodied, with some qualifying for the Winters, as well as some going to the Petplan finals at Hartpury! My para riders have had a good start to the year at the Winter championships at Myerscough and are set to have a busy year of competition. I love working with riders to achieve their dreams. The process and journey is a massive part of that and is very fulfilling, whatever level they are at. The year is coming to a wintery end... snow has arrived, not too much for us so far, thank goodness. As part of the horses' fitness and wellbeing I usually hack out twice a week and I'm lucky to have the farm for this. On the schooling front, my new surface, cushion track from Equestrian Surfaces, has been brilliant. Even when it started snowing we were still able to ride as the wax element stops the snow balling in the horses' feet. We haven't had one day that freezing weather has stopped play which is fantastic. I'm very grateful they came and did some maintenance on it recently and it rode like new. We have had a fab year with the horses, with William coming on board and being a lovely addition to the yard. With his gentle elephant like nature he is so lovely to have around. Reece and Jorge have had a fantastic season and both have stepped up to new challenges. As always I'm very grateful to my ever loyal sponsors who continue to help me and my boys, as well as Jackie and Neil Walker, Charlotte Hogg and Valerie Woolford for being wonderful owners. And of course the rest of my team who keep the horses fit and well, and attempt to with myself as well! My new website is obviously a welcome addition too, I hope you like it - I love it! Thank you Jayne. I wish you all a fabulous Christmas spent with loved ones (especially the four-legged variety!) and all the best for 2018. A new year and new challenges for all! Tia takes charge as usual! Sophie receives Equestrian of the Year Award! The Horse of the Year Show 2017 was the stuff of dreams for Sophie as she received the Equestrian of the Year Award as well as riding Charlotte Hogg's C Fatal Attraction in the Future Elite Dressage Inter I freestyle. 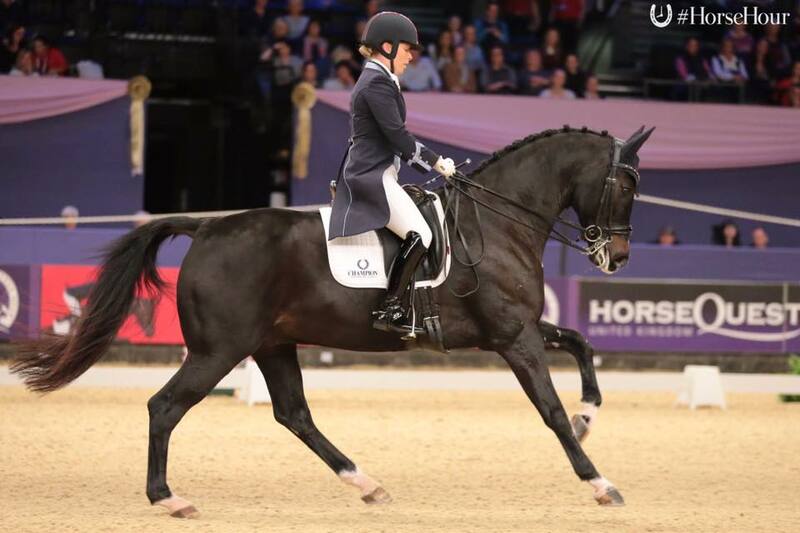 Sophie and Jorge achieved 3rd place behind Charlotte Dujardin and Maria Eliberg with a personal best score of 76.34%. Very much the icing on the cake of a terrific season both in para and able-bodied dressage. Fantastic Sophie - we are so proud of you!